The Apple announced that Microsoft Office 365 Download for the first time is available on the Mac App Store, thus making it easier for the Mac users to download Word, Outlook, Excel, OneNote, PowerPoint and the whole suite of Microsoft Most popular apps. Users can also purchase a subscription for Office 365 from within the apps. 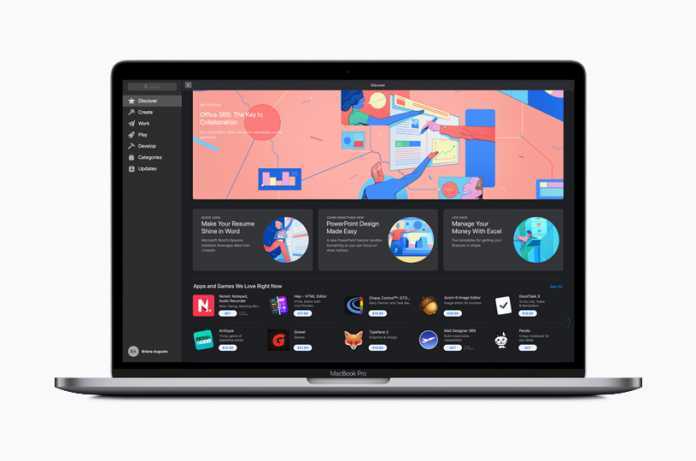 The Microsoft Office 365 for Mac has been designed specifically the for Mac to support features like Dark Mode and Continuity Camera in macOS, as well as the MacBook Pro Touch Bar and Mac’s Trackpad. With Microsoft Office 365 on the Mac App Store, these apps can now be easily distributed to employees using Apple Business Manager. Office 365 provides experiences tailored to the Mac and macOS including OneDrive Files on Demand support on the MacBook Pro. And it’s connected to the cloud, so you can access your content from any device. Microsoft a corporate vice president Jared Spataro, said: We are excited to announce that Microsoft Office 365 is arriving in Mac App Store. We have worked closely with Apple to provide Mac users with very best productivity experience, one that offers everything they know and love about Office through an experience uniquely designed for Mac.